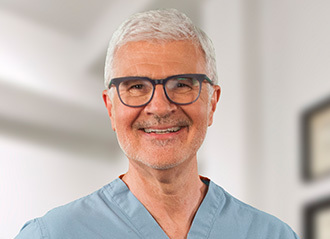 DR. STEVEN GUNDRY is one of the world's most celebrated surgeons and author of the best-selling book "Dr. Gundry's Diet Evolution." AND HOW TO GET RID OF THEM! DARK SPOTS. AGE SPOTS. SUN SPOTS. LIVER SPOTS. They’re all different names for the same problem. And they all make your skin look older than it really is. But did you know dark spots don’t have to be permanent? So they stop appearing in the first place! We’ve been told for years that dark spots are a result of age, or spending too much time in the sun... or both! And while age and sun do play a part... the truth is something very different. Dark spots are actually a result of an internal process called glycation. Glycation occurs when excess sugars from your diet bond with the proteins in your skin, forming a glycated protein – otherwise known as Advanced Glycation End Products (or A.G.E.s for short). These A.G.E.s show up in the form of dark spots and other skin damage. They tend to get worse with age, because it takes time for the sugars to build up in your system. And the heat of the sun can accelerate this process. You can eliminate your dark spots... from the inside out! Dr. Gundry is world famous for his accomplishments as a heart surgeon. But once he turned his attention to polyphenols, he realized the power they had to counteract A.G.E.s in the skin. Have you ever noticed that when you cut open an apple and leave it sitting out, the apple turns brown? That’s oxidation... and it’s the plant equivalent of the glycation process occurring in your skin. Dr. Gundry discovered the polyphenols protect your skin from glycation in the same way they protect plants from oxidation! YOUNGER LOOKING SKIN IN JUST 4 WEEKS! Simply apply Gundry MD Polyphenol Dark Spot Diminisher to the dark spots on your skin twice a day – once in the morning, then once again before bed – and let the polyphenols do the rest. So your skin will completely regenerate itself in about a month’s time – healthy, youthful, and dark spot free! Can I actually get rid of my dark spots without lasers? One of the greatest misconceptions my patients come to me with is that the only way to effectively remove dark spots is with laser treatments. First of all, something I tell each patient is that, while lasers can get rid of dark spots quickly...they’re really just getting rid of the symptom of the thing that causes dark spots...which means sooner or later, they’re bound to return. Plus, laser treatment is expensive, and in some cases, physically uncomfortable. With the effective polyphenol blend in Gundry MD Dark Spot Diminisher, you can now dramatically fade your spots...without the risk or cost of lasers. How do I use Gundry MD Dark Spot Diminisher? Gundry MD Dark Spot Diminisher should be used at least twice daily, depending on the color and size of your spots – once in the morning, and once at night before bed. Using a dime-sized amount, apply the treatment directly to your dark spots, as well as the surrounding area. In order to achieve maximum results, it’s important to never miss an application, as this could delay the effects. Because our skin’s natural healing processes are most efficient at night, never forget to apply before bed! Every person’s skin is unique and reacts at different rates to topical treatments. I know your #1 goal is to achieve real, dramatic results and I understand you don’t want to wait an eternity to see them. That’s why I packed this formula with potent, effective ingredients to give you dramatic (but safe) results in the shortest time possible. Many patients report seeing visible results in as little as two weeks...although because your skin completely regenerates about every 5 weeks, I recommend giving it at least that long to truly see results. It is also important to note that the longer you use the product, the more results you may see. Is Gundry MD Dark Spot Diminisher suitable for all skin types? Since our formula contains safe, natural ingredients that help regenerate your skin from the inside out, Gundry MD Dark Spot Diminisher can be used on every skin type without the risk of side effects. However, every person’s skin is different, so results may vary. Yes. Because Gundry MD Dark Spot Diminisher is formulated with safe, gentle ingredients, it is fine to use on even the most sensitive skin. However, those who know they have sensitive skin are always advised to use caution when using any new product for the first time. If you have any concerns about how your skin will respond to a new product, I recommend doing a “patch test” before beginning regular use. Just apply a small amount of the formula on an inconspicuous area (such as the inside of your arm) and leaving it on for 24 hours to see how your skin responds. I always recommend my patients take a “before” picture prior to their first use. Take your “after” photo about a month later and you can see the results for yourself! Patients have reported a reduction in the color and size of the hyperpigmentation area, but since every person’s skin is unique, everyone’s experience is slightly different. Who should use Gundry MD Dark Spot Diminisher? Gundry MD Dark Spot Diminisher is the appropriate treatment option for anyone looking to help fade the appearance of dark spots, regardless of age or gender. While I formulated our product with the highest quality, safest ingredients, every person’s skin is unique, so it is best to test the product on a different skin area to make sure you react well to the ingredients. Every person’s skin is unique and reacts differently to treatments, so I won’t promise you your spots will magically disappear, like some dark spot corrector companies claim. What I can tell you is if you use Gundry MD Dark Spot Diminisher and follow the directions precisely, there is an excellent chance you will see amazing results. "To watch the dark spots fade from my face was a really amazing process. I had been living for years with very unattractive brown blobs on my cheeks and forehead. I tried so many different methods in the past to get rid of them. It’s really been an amazing and emotional journey for me. Because my boyfriend, my family members and my closest friends all knew dark spots were an issue for me. So just to watch my skin be transformed in just a few weeks as been super cool... I remember waking up one morning and my boyfriend saying, 'Dang, I think that stuff’s (Gundry MD’s Dark Spot Diminisher) really working!'" "Before I started using (Gundry MD’s Dark Spot Diminisher) the creme, my dark spots were very prominent, mostly on my cheeks. I felt people were staring at the dark spots when they were talking to me, so I used a face tint to cover them up. Now they have faded so much I don’t need the tint." Now I don't hide my face. I just feel better and more confident. "I used to have dark spots underneath my eyes that looked like bruises and dark spots all along my hair line. I would get embarrassed in front of my boyfriend. I know he loves me for who I am, but I would worry that my dark spots made me unattractive, or that I looked older. I would just kind of shut down and feel insecure about it and meek. Now I don’t hide my face. I would describe my complexion now as more even-toned, more uniform in color, clear, not spotty. I started putting the creme all over my face, not just on my dark spots. and now my skin is just all the same, uniform color. I just feel better and more confident and not worried about it or thinking about the spots anymore around my boyfriend." DON'T DECIDE NOW... TRY GUNDRY MD POLYPHENOL DARK SPOT DIMINISHER RISK-FREE FOR 90 DAYS! We want you to try this formula and be absolutely sure it fades your dark spots and makes your skin look young again. That’s why every order is protected by our ironclad 90-Day Money Back Guarantee. If you are unsatisfied for any reason, just contact one of our customer service team members by phone or email, and they will arrange for you to send back the unused portion of the product for a full refund. Even if you’ve used it all, don’t worry – you can send back the empty bottles. That’s how confident we are you’re going to love the way this formula makes your skin look and feel. Your transaction is 100% protected. Using our secure server, your order information is transmitted using the very latest SSL encryption technology to ensure complete and total privacy and security. The order process takes just a few minutes, and your Dark Spot Diminisher will be shipped the same day, and at your door in just 1-3 business days. Dr. Steven Gundry - the medical mind behind Gundry MD's wellness products. I spent over 30 years as one of the most accomplished heart surgeons in the world. But my breakthrough polyphenol formula may be my best work yet! That’s because it attacks the problem of dark spots from a completely different approach. It targets the true cause of dark spots beneath the skin, instead of just hiding them on the surface. This discovery came when I was treating a patient for coronary heart disease. I found that polyphenols helped him clean out his arteries...but also had the unexpected side effect of fading the dark spots on his skin! When I investigated further, I realized the connection between polyphenols and glycation... and this revolutionary new formula was born. Since then, I have become an expert in the field of skin care, helping people all over the world look years younger than their age. I’ve even become a consultant for the luxurious Six Senses Resort Spas. Now, I’d like to help you get back the youthful skin you deserve. And remember, if you’re not satisfied with Gundry MD Polyphenol Dark Spot Diminisher for any reason, you’re completely protected by our 90 full money back guarantee! P.S. If you have any questions, just send an email to [email protected], and we’ll get back to you as soon as possible. P.P.S. If you’ve already tried Gundry MD Polyphenol Dark Spot Diminisher, I’d love to hear about it! I get letters and emails from people all the time telling me how great they feel in their younger, healthier skin, and it means the world to me. So if you’ve got a story to tell, drop me a line! I read every letter, and respond to as many as I can. We promise we will never share your information with anyone. Works quickly – spots fade in just 4 weeks! †The information on this website has not been evaluated by the Food and Drug Administration. These products are not intended to diagnose, treat, cure or prevent any disease.